“I hope what happens is if there’s a veteran out there who’s struggling – that they’ll see my story, and hopefully they’ll be able to use it to their advantage,” said Jones. 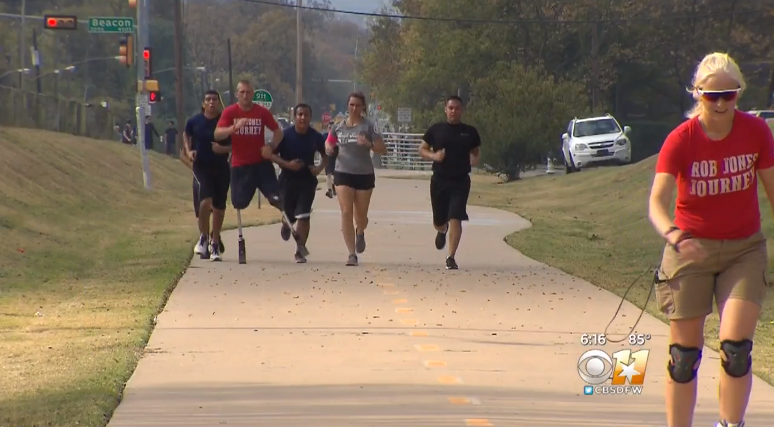 “And they’ll be able to envision themselves doing the same thing a little easier.” This was his twenty-fourth marathon that will end next Saturday on Veteran’s Day. Jones’ wife is part of his support team. They met five years ago in London when they both competed in rowing. “Rob won a bronze medal in the 2012 London Paralympics, and he won my heart as well,” said Pam Jones. "Double amputee Rob Jones is on his way to completing 31 marathons in 31 days. He was a Marine in Afghanistan when he was combat wounded.. He made a stop here and is on his way to New Mexico." 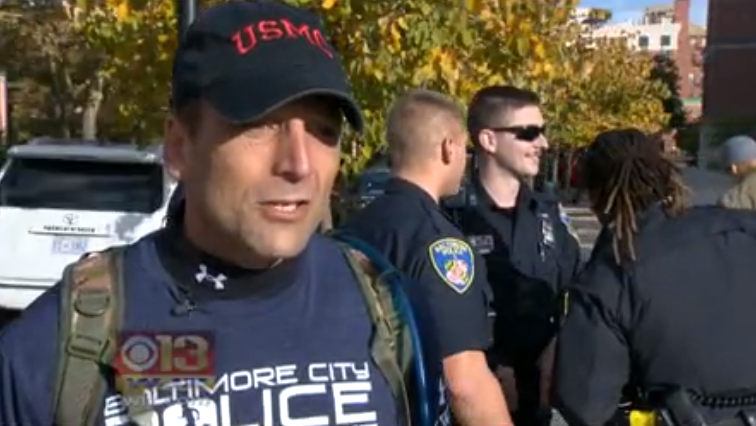 "After spending a year and a half recovering, he's running about 26 miles a day for 31 days straight to raise money for a few veterans charities. “They all have their different way of helping veterans that have been wounded, find their new way of how they’re going to contribute to society and stay in the fight," Jones said. The Marine says he will reflect on his journey once he hits his goal and has realized some things he's already known. “Wounded veterans are still capable of contributing to society despite their wounds and through the support I’m getting, I’ve learned America loves veterans," he said. “My objective for my life was still the same after that, I wanted to leave the world a better place. 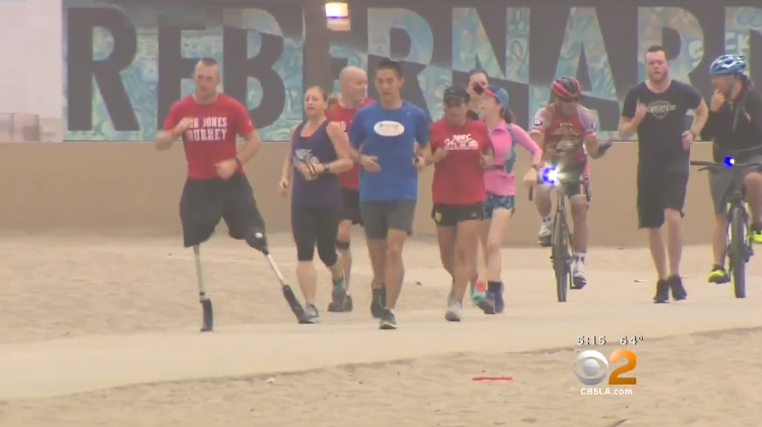 The 32-year-old decided a year and a half ago, that he would take on 31 marathons in 31 days, in 31 cities to “to help show America loves veterans and they are here to support them. Over the month, Jones hopes to raise one million dollars for wounded veterans organizations."